Arsenal fans came out in their numbers to make fun of Tottenham Hotspur following their midweek game. Spurs welcomed Crystal Palace as they officially launched their new home with a 2-0 win but there was still something for their North London rivals to laugh at. Prior to the game, it was disclosed that the new White Hart Lane has a bigger capacity that Arsenal's Emirates Stadium. The ground has a 62 062 capacity as opposed to the Gunners' 62 260. One would expect that being their first fixture there, it would be filled up. That was not the case as the attendance figure was reported as 59 215 - it was less than what Unai Emery's men recorded when they played Newcastle United on Monday night. Arsenal fans as soon as they discovered this stormed Twitter to mock their arch-rivals with varying remarks. 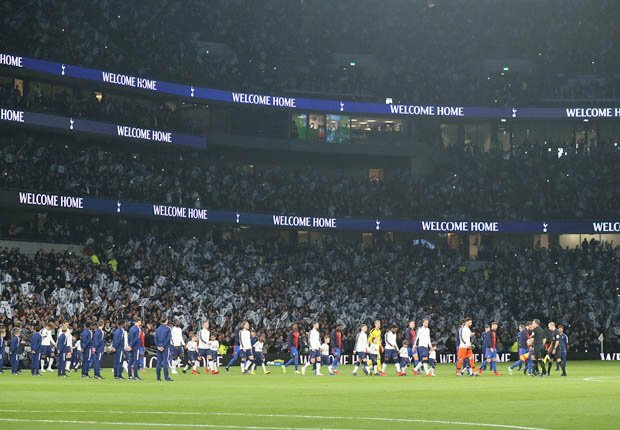 59,215 given attendance at first Premier League game at Tottenham's new 62,062-capacity stadium. Tottenham Hotspur chairman Daniel Levy earlier said that their decision to have a bigger stadium was not connected with Arsenal or rivalry.